According to a new report, a second Galaxy Note 7 recall is now very likely possible following a replacement device’s explosion. Here are the details. 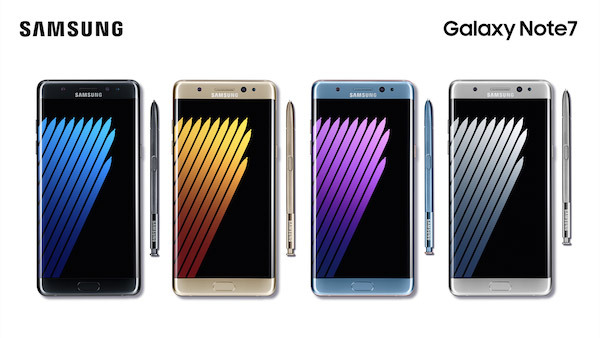 Samsung’s Galaxy Note 7 troubles have been extremely well publicized worldwide, but it seems that they could be anything but over. 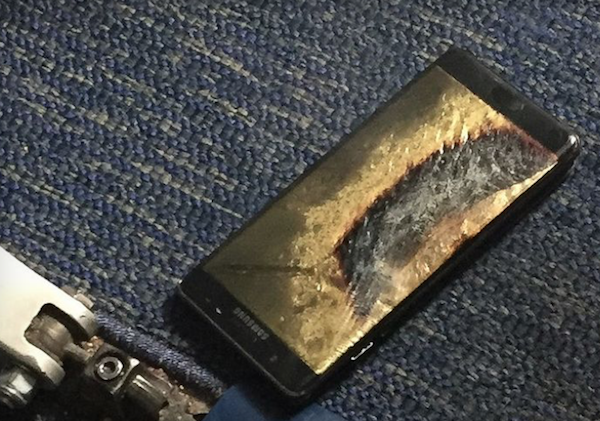 After initially suffering the indignation of having to issue a worldwide recall of Galaxy Note 7, Bloomberg is now reporting that there is a very real possibility of a second recall after yet another incident occurring on a Southwest Airlines flight in the United States has prompted the CPSC And FAA to investigate the matter. Samsung’s initial trauma with the Galaxy Note 7 was zeroed down to the defective battery pack integrations that had caused the device to spontaneously combust when on charge, and in some instances, actually burst in flames when powered down entirely. The replacement devices, that were issued only recently, were supposed to fix this problem, but the aforementioned incident of a replacement device on a Southwest Boeing 737 now means that Samsung probably didn’t find the real root cause of the problem first time around. What’s terrifying is the fact that the device was actually powered down at the time and wasn’t even connected to a power point. If you start to consider that we now have evidence of a replaced Note 7 catching fire when powered down, you understand the seriousness of the situation. A secondary recall, which would essentially mean that Samsung would be calling all devices back in for a second time, is by no means a foregone conclusion at this stage, but if it does happen, the repercussions could be huge for the South Korean company. Samsung has already suffered damage to its reputation that comes hand-in-hand with having to publicly acknowledge deficiencies in a globally popular product. Having to do that for a second time for the same product line could result in damage that the company simply cannot recover from without losing users to competitors like Apple, Google and HTC. If we continue to see more incidents involving recalled, or so-called “safe”, devices, then a second recall would seem inevitable. It needs to be recalled permanently and discontinued. It obviously has a fatal manufacturer defect. This is what you get for trying to beat Apple. A dangerous device that should’ve never been released. Note 7 shall be discontinued. Even if they can finally found the root cause and get it fixed, they might want to consider relaunching it as new product named Note 7X or 7S to differ the ‘dangerous’ unit with the one deemed to be ‘safe’. Note 7 shall be discontinued. Even if they can finally find the root cause and get it fixed, they might want to consider relaunching it as new product named Note 7X or 7S to differ the ‘dangerous’ unit with the one deemed to be ‘safe’. This article is completely speculative, they haven’t even verified that it was a replacement phone! I don’t think discontinuing the note line completely is the solution. Maybe just the note 7. Stop sales, recover all sold phones and start from scratch. Also in the process figure out what’s the root cause of all this and maybe figure out how to make lithium batteries fireproof. If anything good comes out of all this its that they will have better battery technology next time around. ..at least that’s what I would do. And to the customers that already have a note 7, give them the note 5 with a $150 gift card at least. I’m sure there is still a surplus of note 5s in Samsungs warehouse. It’s been verified. The user showed the picture of the box label which had the small black square indicating it was a replacement model. The SN was also run through the Samsung verification site and identified as one of the “safe” models. Bury your head in the sand all you want but there is no such thing as a safe Note 7. And no, I don’t think this issue is just limited to Samsung phones. My buddies G5 just caught fire the other day, so it can happen to almost any phone, but when I spend $900 dollars on a phone I REALLY don’t expect it to catch fire. Let me get this straight…instead of refunding people’s money, you want to give them last year’s model and a $150 gift card, from Samsung’s gift card? Your ideas were pretty sound until the very end. Well a note 5 would be the option for those that still want to have a note phone of course. Because there is customers that would still rather have a note than any other phone out there right now. Me included. A full refund would be another option yes why not. Lol I mean since we’re just talking ideas here right. They did verify the imei on the box, not the phone’s imei. So that guy could have had, in theory, one old note that exploded and a new note, used by others or by himself, part of the replacement, supposedly safe devices. And I agree, iPhones blow, other devices blow. It is possible note 7 to more susceptible to these issues, but many media stories based mostly on rumors contributed to this hysteria. I am sure there is technology to make the batteries safe, but for saving few cents, it’s not implemented. So you are saying because of one unverified circumstance millions of phones should be recalled? If that’s the case iPhone 7 should be recalled, they’ve already had more explosions reported than the note 7 had on the first go around! Might be to do with the energy density of the battery chemistry used (pure speculation here, because I’ve never heard of a ceramic lithium battery and certainly don’t know how it stacks up to the lithium polymer batteries). Everyone wants long battery life AND for it to not catch fire. Compromise on either isn’t necessary, because there’s phones out there that have both. If yours doesn’t then you’re not competitive.